The latest news on the Tribe’s search is here and it involves two more outfielders. According to Jon Morosi, the Indians have shown interest in the St. Louis Cardinals’ outfielders Randal Grichuk and Tommy Pham. The Cardinals are in a funky spot, as they are nowhere near a spot for a NL Wild Card spot but can still win the NL Central and make the playoffs. They will have to decide if they want to start to build for the future or try to push for the division crown. Parting with either Grichuk or Pham would signal that they are sellers this season. Pham is batting .310 at the plate, with 14 home runs and 44 runs batted in. He can give some help to Michael Brantley and Bradley Zimmer when they need a day off and the Tribe won’t have to worry about a dip in production. 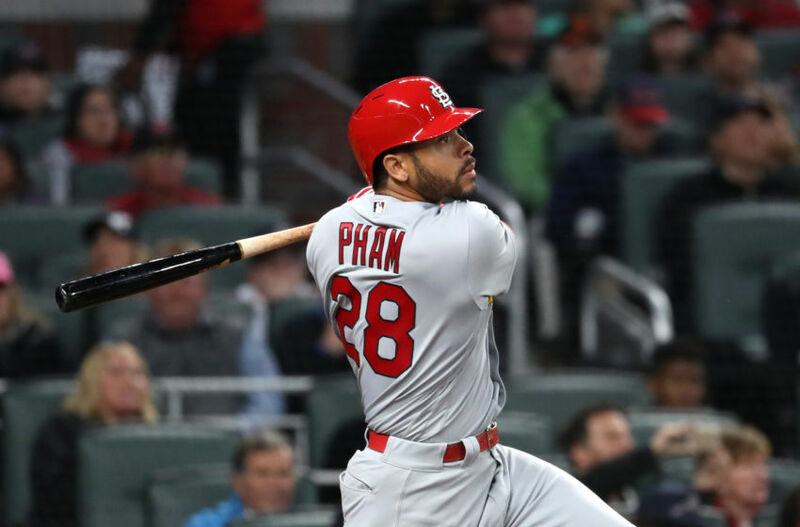 Pham is eligible for arbitration in 2019 but isn’t a free agent until 2022. Grichuk is less than ideal for a offensive boost, batting a mediocre .235 at the dish. The one positive takeaway is his 13 home runs and 37 runs batted in. The defensive positioning of Grichuk wouldn’t be difficult, as he has also played the entire outfield. The Indians have until mid-Monday to make a move.